If you've been following my blog for any amount of time, then you already know what Threads of Love is and how we've connected with them through Project Hope. If you don't know, I have the link to the right of my page so that you can just click on it and catch up on all of the posts about Project Hope. 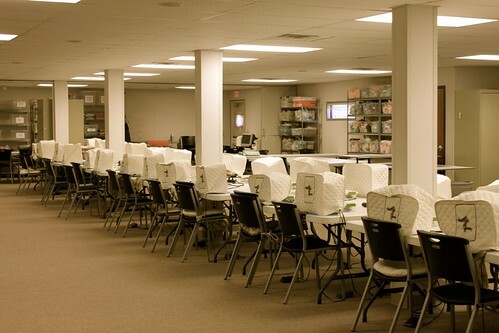 A quick description about Threads of Love is that they are a nation wide organization that reaches women who have lost a baby through miscarriage or still birth as well preemie babies in the NICU. 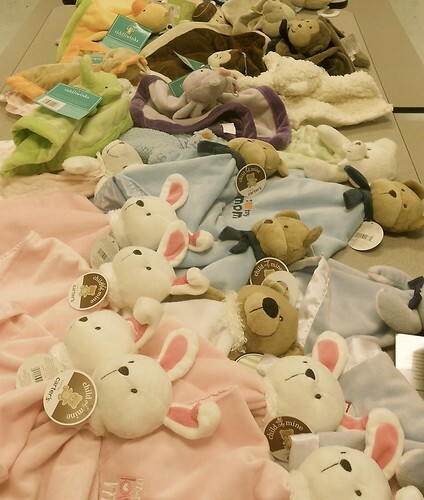 They sew, knit and crochet items that are then packaged and distributed to local hospitals. There are many facets to the ministry and how they serve women and families, if you want to learn more I encourage you to look into the chapter in your city. It is all done through volunteers and donations. 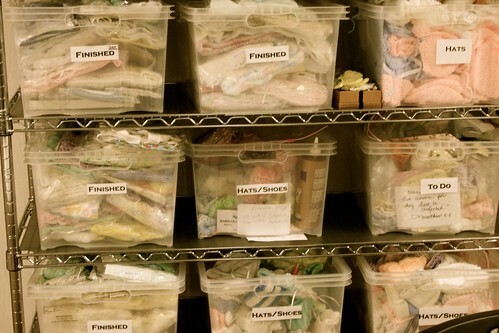 I began Project Hope because I have been personally blessed by Threads of Love, twice in my life when I was given sweet little boxes in the hospital filled with small items to help me remember the baby girls we had lost. Of the items, one of the most special was a small lovie bear that I held on to as my hope for the future and later gave to our sweet Mia Glory. To say she is attached to it is an understatement. To this day, each time she grabs hold of it, or I rock her to sleep as she cuddles up with it, I think of my girls in heaven, the hope I was given and the love I so desire to show to other women who have gone through what I have. I think about how some women don't know the hope we have in Jesus, and my heart hurts for them because I don't know how I would have survived what I have without my faith and hope in Him. 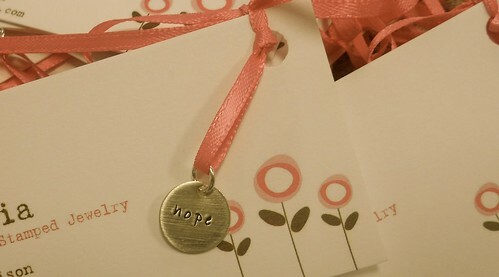 Hope was literally stamped all over these memory boxes that we made and prayed over with each item that went into them. Before I tell you about our drop off day at Threads of Love, I wanted to give you a glimpse into the boxes and each item that went into the 50 boxes that were donated. I am still so blown away by all of the people who came together to make this happen. Packages and bags would come to my house and the thought that people I would never meet, had sat around and made these things or went and bought lovies, was so moving to me! I can't even say enough how much it meant. December 10th was our first craft event, where a group of women from here in San Antonio got together and decorated the boxes. 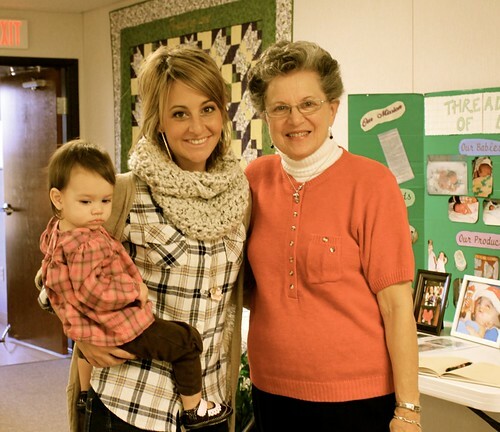 When I dropped them off at Threads of Love, the women and volunteers were so blown away by how beautiful each one was. Every box got a charm, either a cross or angel. 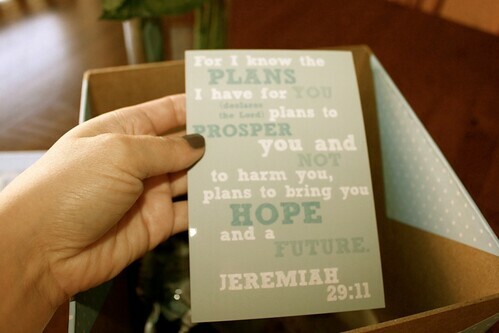 Jeremiah 29:11. Blue for boys, pink for girls. These are intended to be framed if the mom chooses. Wooden hearts that were hand carved and painted with the words "forever in my heart"
crochet hearts attached to lace that can either be pinned to a shirt, or bag or scarf. 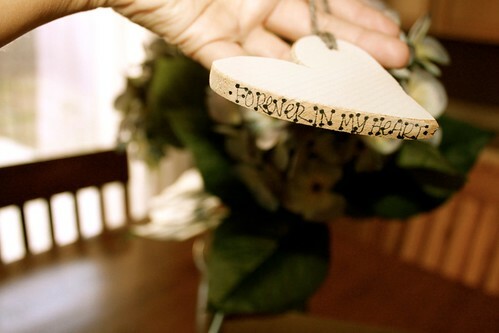 Linen hearts, with the word "hope" embroidered. Each box also got a lovie similiar to the one I was given. It was the one item I wanted to be sure to have in each box. Turns out these aren't commonly put into the memory boxes and Liz from Threads of Love was surprised I'd got one in mine. I believe it was something the Lord had in front of me, as a constant tugging and reminder to pursue this dream of mine of reaching other women with this same hope by launching Project Hope. Every time I saw Mia with it, I would be reminded of this dream till I finally pursued it. 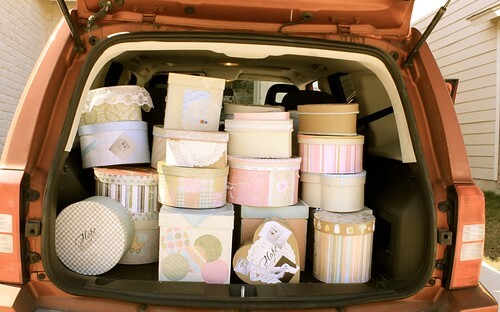 A couple of weeks ago, I loaded up all 50 boxes and my two girlies (Asher was at school & Brandon was at work) and we drove to Threads of Love. 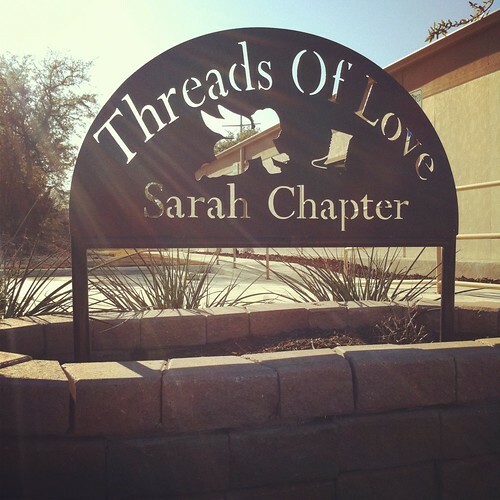 The particular one we partnered with here in San Antonio is the Sarah Chapter. Founded by Liz and Joe Page and named for one of their miscarried grand babies, Sarah. 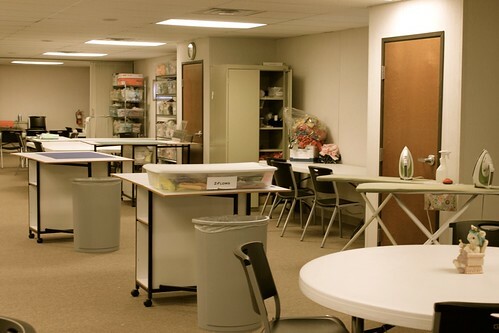 The facility they work out of sits on the property of a large church, and was built fully on donations. Just driving up, you could already feel such a presence of sweetness. 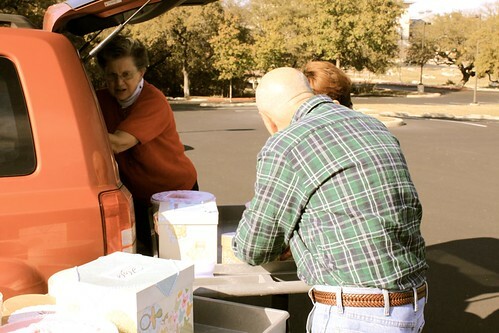 Liz and her husband met me outside and started unloading the boxes one by one, commenting on every one. We toured the facility and I was so amazed by how much they are doing. Reaching so many. It was inspiring. And to be there with my girls...it was an emotional day for me. I hope to bring Asher back with me one day, because I want him to have an understanding of ministries like these and what it meant to our family. 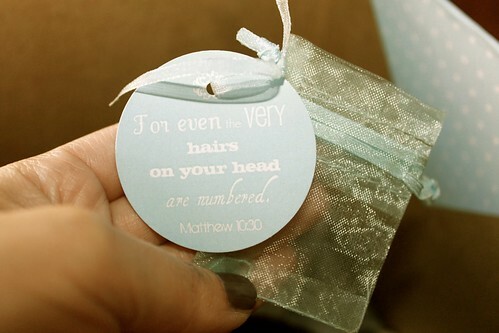 Something I want to bring light to is the ministry they are also doing for women who have experienced miscarriages. 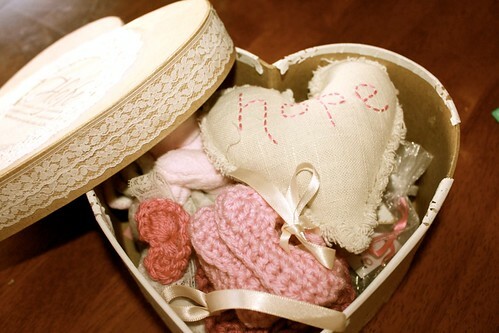 When I started Project Hope I heard lots of stories from women who had had a miscarriage and would have liked something like these memory boxes. Well, they do also make care packages for mom's who lose a baby early on. These packages aren't brought to the hospital simply because the need would be too much, however, the ministry is there. 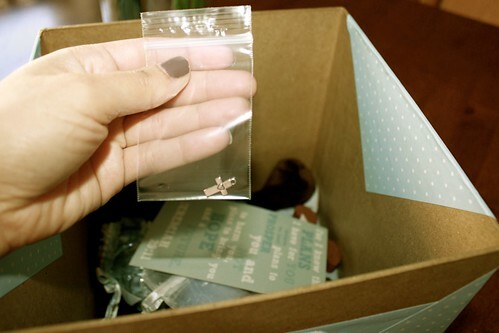 Meaning, if you know someone, who has had a miscarriage, you can call your local Threads of Love, and they will give you a care package with resources and a couple small mementos as well. I feel very strongly that every baby regardless of the number of days they lived, should be acknowledged. In some way. Life is so precious. From beginning to end and especially in between. We should value it in every way, at every moment. That's what I love so much about Threads of Love. They are valuing life and helping moms heal when it is lost. If you would like to be apart of Threads of Love in your own city, you can click this link to find a location. I hope and pray that more projects like this will continue to shed light on organizations like these. One more important need I learned about while there is caskets. The very real fact is that there is a need for them. Some families can't afford to bury there babies properly, but at the same time, want to honor them by giving them a funeral. I was blessed to have a family and friends who helped us with all of the details of our girls funerals. My dad, who is a home builder, actually made the caskets that my girls were buried in. I can't tell you what a relief and blessing it was to not have to think about where my girls would be buried and how. But that is not the case for some families. Liz told me about a funeral she once attended for a small baby. The parents didn't have money for a casket, but still wanted to give the baby a burial. The baby was put in a small styrofoam ice chest. I realize that sounds incredibly sad and most people don't want to hear about things like that, but the fact is that it's real. 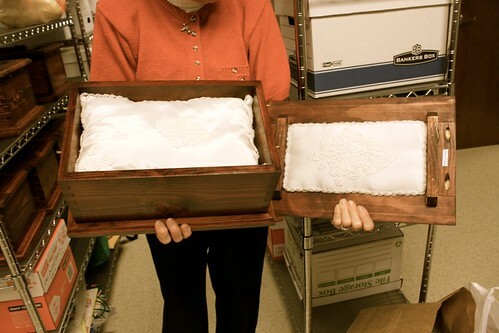 If you are able, or know of anyone who is able to build small wood boxes to be used as a casket, I'd like to encourage you to find your local Threads of Love and see about donating one or two for families in need. 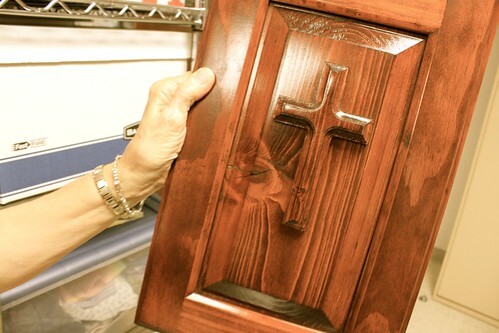 These caskets go specifically to families who can not afford to purchase one. I'm not sure about the details or requirements for making one, but if you are interested in doing this, email me and I will get the information for you. I will continue to partner with Threads of Love in any way that I can, so if you would like to donate items for the memory boxes, you can always do so. Whether it is one item or 10 or 50. 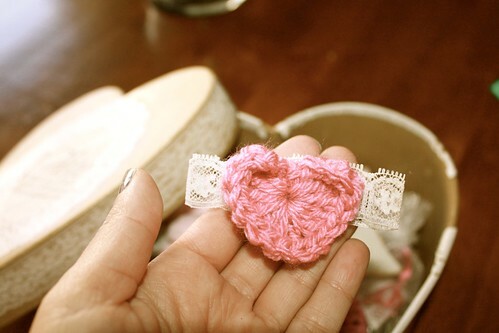 I will make sure Threads of Love gets it, so again, contact me if you would like to be involved. 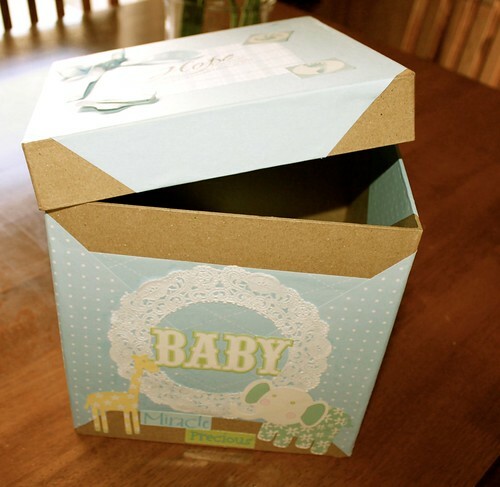 We are also planning for another Craft Event in March, to decorate boxes again. Details will be given closer to the event. I hope you will join me! And if you read this entire post, I would give you a big ol hug if I could. Thank you. As you can see I get super wordy when I'm passionate about something! Go hug your kiddos, your husband, your mama, or your neighbor, just go hug someone and show them some love. Life is such a gift ya'll! WOW! I love this! I have not lost a baby, but I have a heart for mothers and families and would love to show kindess and compassion to those going through this. I have had several friends and family members who have lost babies and it is awful...I felt hopeless and I am so thankful I know about this now! Also, I LIVE IN SAN ANTONIO...how crazy is that. until now I didnt know you lived here...I just started following a few weeks ago! I hope I can help with your next thingy, what a wonderful way to bless hurting mommas!! Thanks for sharing! This both breaks my heart and makes me happy. I want to be a huge part of this. A girl I went to High School with lost her twin boys over the weekend and I am struggling thinking about losing my own baby. 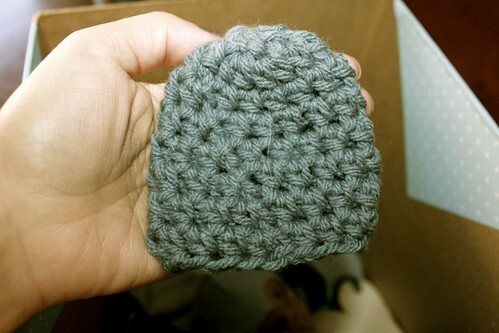 I am making her one of these. My desire to have one is overwhelming, I wish places around here did this. You are so inspirational and your girls, all of them, have such an amazing mommy! So beautiful! It is such an honor to have been able to help with your wonderful project. Thank you! Thanks so much for the update! It makes my heart happy and it was such an honor to be a part of Project Hope. Thank you for everything you do, all the effort you put forth. Know you are making a HUGE difference in mother's lives. Laura it looks like your event was a beautiful success!! Thank you for sharing your heart and the beautiful pictures! That is incredibly sad about the caskets, but I do know they are insanely pricey. Thank you for mentioning that. Hoping they receive abundant help in this area! I just read your post and my heart is hurting but I just love the sweetness you are spreading...I can't imagine going through that pain and loss, what an amazing mamma you are to be doing this. I read a previous post of yours about this and I have been trying to start a chapter in the state I live in. I had a miscarriage in July and something like this would've been nice. 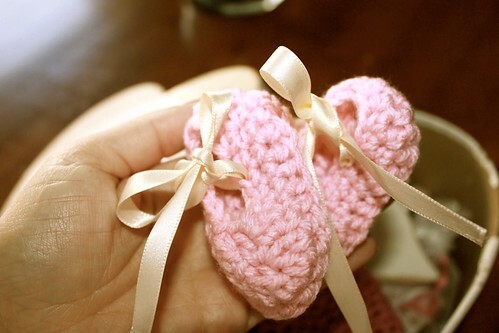 I also know 2 women who have had stillborn babies and I'm sure they would've liked these. If I am not able to get a chapter started here I am going to find out about donating to others. So beautiful. What a sweet ministry to be a part of. WOW girl what an absolutely amazing ministry!! I will be praying for the continued success of Project Hope and Threads of Love. Keep up the amazing work!! XOXO!! This was so amazing. Definitely looking into a local chapter. This just blows me away. I cry because I am sad for all the families who have experienced the loss of their children and I cry because it is touching to see so many people doing things to help. What a wonderful organization. 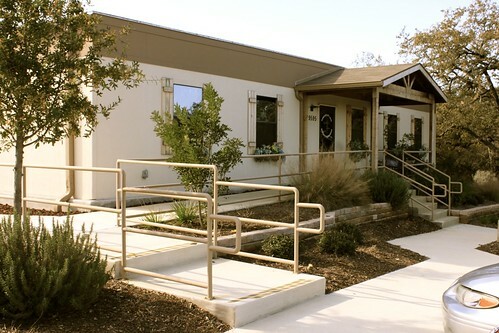 So glad you posted pictures of the Threads of Love facility! You ladies out there did an amazing job, such great things in those boxes!!! Thanks for sharing, and stepping up to the call to do this ministry! This is beautiful! Wow I'm so glad that you did this - what a blessing to SO many people! I am in tears. This is beautiful. 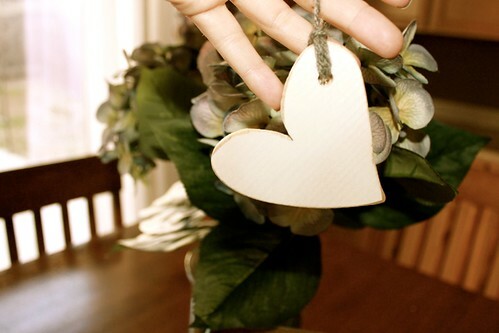 Thank you for you heart. So beautiful. Thank you for sharing about your loss. 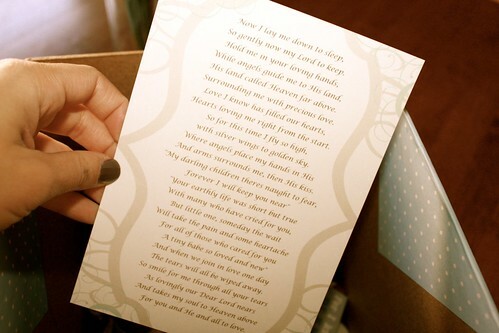 What a wonderful way to give to those Momma's who have lost a precious one. One day i believe I will get to hug you.. hopefully. This is beautiful and so heart felt. Love you Laura. This is so beautiful. And such an example of how we can use tragedy in our lives to help bless others. What an amazing cause this is! wow wow wow ... thanks again for just bringing AWARENESS! you will be greatly blessed for all your hard work! just so touching. Wow, what you are doing is amazing! Much power to ya! 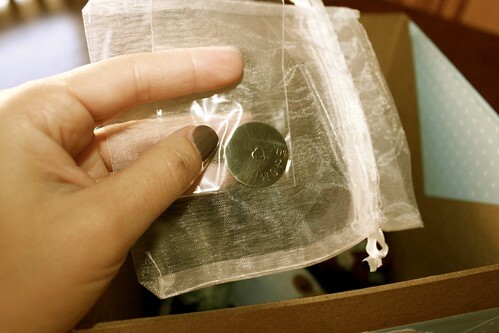 Stumbled upon your blog from Kimmie with Sugar & Dots and am so thankful I did. As a mother who lost my first baby due to preterm labor and who experienced a long NICU stay with my son I myself have experienced the kindness and compassion of people such as yourself. Thank you so much for giving of yourself to bless others who have experienced loss. I know the memory box I was given when we lost Lily is something I will always treasure. I'm inspired by your giving and plan to look into helping a hospital in my area. Also I look forward to following your journey & continuing to be inspired! WOW!! This post really hits home. 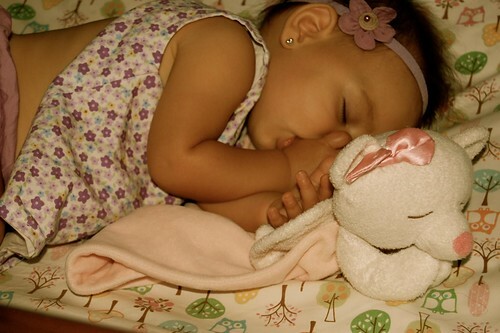 I lost my only daughter, Gabriella 3 years ago and I wish I would have had something like this. It really is so difficult. I would love to put this up on my blog. I host a Baby Angel Momma's Link-up every Wednesday to encourage other moms who have walked or are walking on the same road. Please let me know how I can get the word out about this.. whether posting up or donations... anything!! REALLY!! God bless you!! Simply wonderful! !